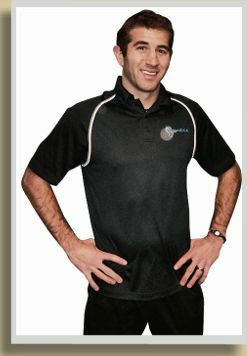 When I started my group sessions, I was renting a 12 foot by 12 foot area from a local “big box” gym. Every day I had to show up to the gym 30 minutes before my first session and move 10 spin bikes off of the floor just so we could train. I did everything in my power to market my program and spread awareness so that I could fill my small floor space and find a better facility to train in. It just seemed like no matter what I tried to do, my membership numbers weren’t moving and I was actually starting to lose people. People were getting bored with the format of my session and finding other ways to get variety in their training. I was needed to find a way to get that “spark” back into my sessions to prevent people from getting bored. 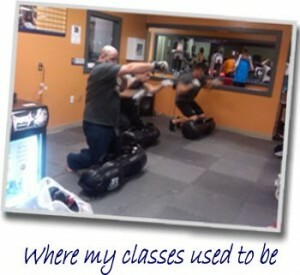 Plus with new boot camps opening up around me, I knew I needed a competitive advantage. You’re probably wondering what the heck Boot Camp Games are and how they can increase your member retention rates and generate a constant source of referrals, right? I know it sounds like a weird combination, but here me out. As we both know, it is way more affordable to retain clients then it is to try and get new ones off of the street. To be exact, the cost of getting new clients is SEVEN TIMES MORE than the cost of retaining clients! You have to keep your current clients MOTIVATED to come back to your sessions, get NEW clients in the process and continue to create a FUN training atmosphere every day. So what if I had a SOLUTION that would FIX all of those problems with the “click” of a button AND what if it was as easy as playing games with your friends?Hang in there… let me explain. Get Yours Now For $59.99 Only $39.00! So What Are Boot Camp Games Anyway? One night (Really Late) I was looking around my basement for some cones to do line drills with in my boot camp the next day. I ended up finding a box of my old karate notebooks (8 years’ worth). One of these notebooks was loaded with drills and games we used to play with our karate students. Right then, I had a crazy idea… What if I took the martial arts aspect out of some of the games and added fitness elements to them? Viola! I had a new, killer program to implement with my clients that would break boot camp boredom and keep them coming back for more. Since the implementation of these games in my boot camp classes, my membership numbers have tripled since I opened my doors, members are actually starting to hang out outside of class, my Facebook wall is buzzing with member comments and my retention rates are unreal. Most gym owners around me complain about losing clients during summer months and down times, but I have to be “that guy” and tell them that I really don’t have that problem anymore. What’s my secret for retention? GAMES! It keeps everyone excited and motivated, and instills a sense of loyalty and community that people cannot find anywhere else. 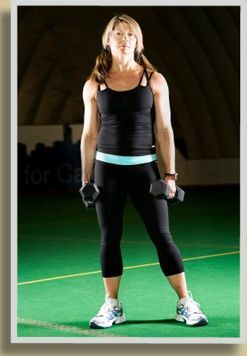 I am a TT Certified Instructor, and what I did with these games was I took my knowledge of cutting-edge TT fitness and combined it with my passion for group games to create a killer new program that would revolutionize the format of boot camp classes. You will skyrocket your retention rates which means a constant paycheck for you. Save A TON of money getting new members – your current members will market for you. 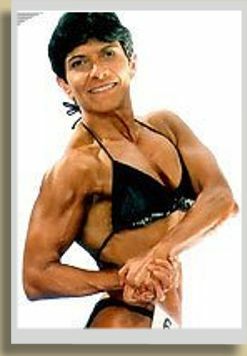 No more time spent researching new techniques to spice up the current training regimen. Inside you will discover 31 done-for-you boot camp games, including, team building games, small group competitions and partner playoffs… Not to mention all the ideas you will get from making your own versions of these games. The truth is, with so many games and activities to choose from, you’ll easily keep your boot camp classes filled with people, diverse, and exciting for quite some time. What makes Boot Camp Games so special? Using these games at the end of class will boost the sense of community within your boot camp. Remember, they can get a workout anywhere, but people want to work out with their friends. These games are designed to encourage social interaction and teamwork. 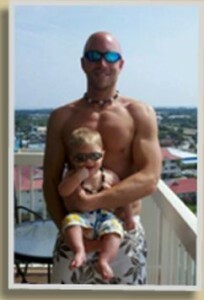 Because of this, everyone will be growing closer as a “fitness family” on a daily basis. When this sense of belonging occurs, they become loyal to your boot camp. This means they have a higher chance of staying and referring people to your facility. Let’s face it, we all get bored and burned out from the same routine eventually. Implementing these games at the end of a workout can help break up the monotony of a boot camp class. Even if you change your workouts every day, which I’m sure you do, there is still a chance that they will feel “burned out”. These games offer a “vacation” from the workout. We know they are still exercising, but in their minds, they are playing with their friends. More variety you incorporate into your boot camp, the better the chance of members returning on a reoccurring basis. What sets you apart from the person down the street who has a boot camp? How about the way people feel when they leave class. Do they feel over-worked and thoroughly exhausted like every other boot camp in the area? Or, do they rejuvenated and energized? Obviously, you want the second one. These games will help you stand apart from your competition. We have taken many old school recess style games and formatted them so that there is some form of fitness involved with them. They are still working out, but they are smiling and laughing in the process. That is definitely a “win-win” in my book! By combining all three of these client-getting elements into all of these games, you’ll never have to learn how to retain customers EVER again. Creating more time and freedom that you deserve AND helping MORE people. Forget about spending your evenings in front of a computer trying to come up with new things to do in your boot camp classes so that clients will keep showing up to class. The time spent thinking of that stuff could be used playing with your kids, finding other ways to be successful, or just unwinding after a long day of work. With this solution everything is DONE-FOR-YOU! 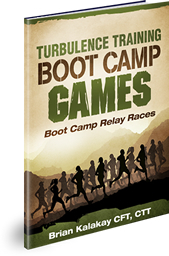 “I just unpacked the TT Boot Camp Games Manual and have been using it for one week. First off, I can see how using these games increases retention and referrals. My camp was a buzz after playing the ‘Commando Relay’. I needed to modify the game slightly for my group, but I got the idea and plenty more from the TT Boot Camp Games Manual. “Not sure where to begin but this bootcamp product is over the top! It is awesome! I haven’t seen a more complete, new and fresh bootcamp product in a long time.The bootcamp games are a brilliant addition to camps not only for the fun factor but the retention and marketing manuals are also excellent! The bootcamp games and videos while extremely innovate are simple to implement! 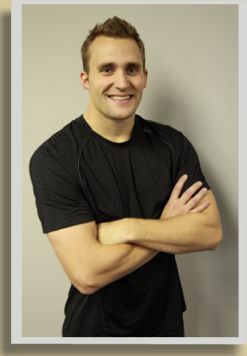 “I run a medical fitness facility that also has fitness boot camps. I encouraged my trainers to start using this new product to help the trainers try something different and add some new enjoyment to training. After reviewing the product I knew clients would love it but I did not know we would be getting as many new referrals as we have in the past month. Here is one of the e-mails I received from one of my trainers. I used some of the games in my boot camps. The clients laughed like children and I smiled like a proud parent. I talked about connecting to our inner child and remembering how much fun it was to play. It started a fantastic conversation. I will continue to do the games because of the simple joy it brings to our clients and me. With these “done-for-you” and ready-made games and activities, there’s no more embarrassment over people getting bored with your classes. PLUS they’re Turbulence Training Approved! 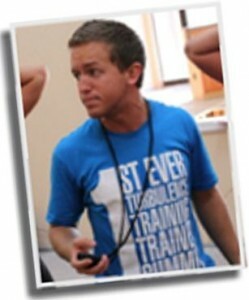 Our “camper approved” games will keep you looking like a “boot camp idol” to your members, but without the hard work. If you were to sit down and write up all these Boot Camp Games you’d probably spend nearly 40 hours of your valuable time. And I’m guessing your time is easily worth $50 or more per hour, right? That means it would cost you over $200 just to create your own Boot Camp Games. And then there’s the testing and tweaking process. That’s another 20 hours easy. When it’s all said and done this would cost you over $300 to do it yourself. But I’ve gone through and did the tough work for you. Best of it’s all built on sound exercise programming. 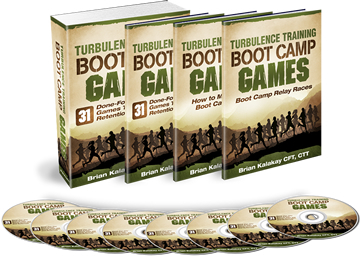 But you won’t pay anywhere near $300 for the TT Boot Camp Games Program… Turbulence Training Boot Camp Games is available to you though this special promotional offer for only $39! That’s a really good deal! I’ve done all the heavy lifting for you. Let my client tested, done-for-you boot camp games do the work for you so you can go back to doing what you love most without worrying about losing clients to the boot camp down the road. I am a believer in over delivering, so I cannot just give you a manual and think that is “good enough.” When you invest in TT Boot Camp Games now I’ll give you two bonuses worth $164. Don’t just play games…PLAY THEM RIGHT! I’m not talking about just playing fair in the class. I’m talking about playing the marketing game right. Included with this manual are ways to use the boot camp games to actually help grow your business. Facebook- how to use Facebook in cooperation with your games to promote your boot camp. 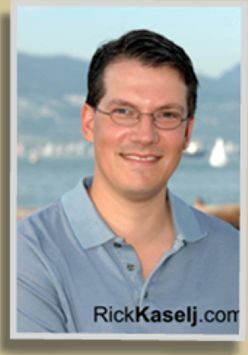 Reward Systems – how to set up and implement a “reward system” to be used with these games as a “low cost” marketing tool. Promotional Prizes – How to give out prizes so that you get more referrals and qualified prospects without spending money. Referral Tools – A Simple tool that will be a “gold mine” in referral generation. This tool alone will TRIPLE your memberships in 2 weeks. “Smart” Prizes – How to get prizes to give out for the games and spread awareness at the same time without ever spending a dime of your money. If you are like me, sometimes you would rather watch a video than read about it. If you are like that, then you are in for a treat. I am including video tutorials on how to play each of the games. This way you get to see how we play the games and also get ideas on how to change the games to make them yours. A real quick way to end class is a relay race. 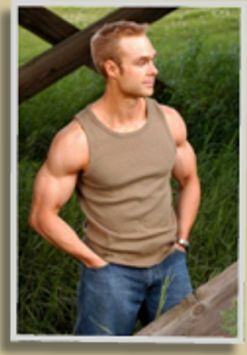 It pumps people up and they are really easy to administer. Because of this, I have developed an easy to follow system that will make creating a relay race as easy as 1-2-3. Follow my simple formula in this report and you will be able to create over 300 relay races within seconds! Never again will you be caught without a game at the end of class. Just throw the done-for-you chart onto a clip board underneath today’s workout and voila! Over 300 variations of relay races you can perform with any size class. Or You Get Your Money Back. That’s right. This program is backed by my 60 Day “Happy Camper” Money Back Guarantee. If for any reason you are not completely satisfied with my boot camp games, contact me within 60 days and I will give you a full refund. That’s how confident I am that you will be blown away by these games and what they will do to your boot camp. Q: Who is the Done-For-You Boot Camp Games for? A: These innovative Boot Camp Games are designed for all fitness levels, from beginner to advanced, and were made for someone who wants to over deliver service to their clients and gain new members in the process. In the past year, over 30 games have been used in my packed boot camp classes to add fun, variety and more loyalty to my program. 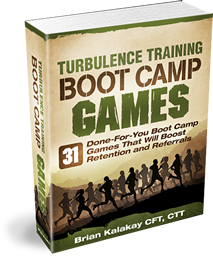 So if you want the games created for you, showing you every activity and every step to help your clients truly enjoy their training experience, then you’ll love getting 31 of these Turbulence Training approved games. Q: What if I don’t like it? A: You have my 60-day, 100% money back guarantee that you will love the TT Boot Camp Games or you can simply let me know and I’ll refund every single penny of your order. There is absolutely no risk to you because I know that your campers will love these games once you give them a try. They’re fun, exciting, and rejuvenating! Q: Where can I buy the TT Boot Camp Games? 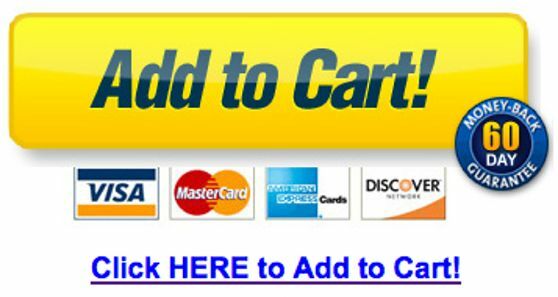 A: It is ONLY available here on this website. Q: Is the TT Boot Camp Games package sent in the mail? A: No. Instead, you get instant and immediate access to over 31 Boot Camp Games with just the simple “click of a button.” You’ll be able to print out the games or view them on your tablet. They are ready and available to use within minutes. Q: What equipment do you need? A: Variety is the key to keeping your clients coming back day after day. And because of this, these Boot Camp Games include activities using tennis balls, clothes line, balloons, medicine balls, stability balls, hula hoops, cones, and body weight. Q: Do you show every game and set ups for each in the manuals? A: Yes, absolutely. Each game comes with photos and a description. With the complete done-for-you TT Boot Camp Games, your games are designed for you to plug-and-play so that you can spend your time enjoying the life you want to live, instead of scurrying around trying to find new stuff to do so your clients don’t leave you for your competitors. P.S. 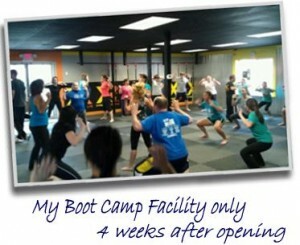 – Boot Camps are exploding into the fitness world and popping up on every corner. What is going to make your boot camp better than the others? Let’s put something in your boot camp that will make people talk about how awesome your boot camp is compared to the others. Use this Done-for-You system giving you more freedom while being the Boot Camp talk of the town, with customers banging on your door, begging to be a part of your community! Click here to get your copy now. P.P.S. 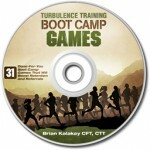 – There is absolutely NO RISK at all for you to try the Turbulence Training Boot Camp Games. Your camper satisfaction is guaranteed by my 60-day 100% money back guarantee. If you aren’t completely satisfied with the program, just let me know within 60-days and you’ll be refunded your entire investment. Got Questions?If you have questions please contact customer support via email to support@ttbootcampgames.com. We reply to email the same day, however, please allow up to 24 hours for personal replies to customer service emails.